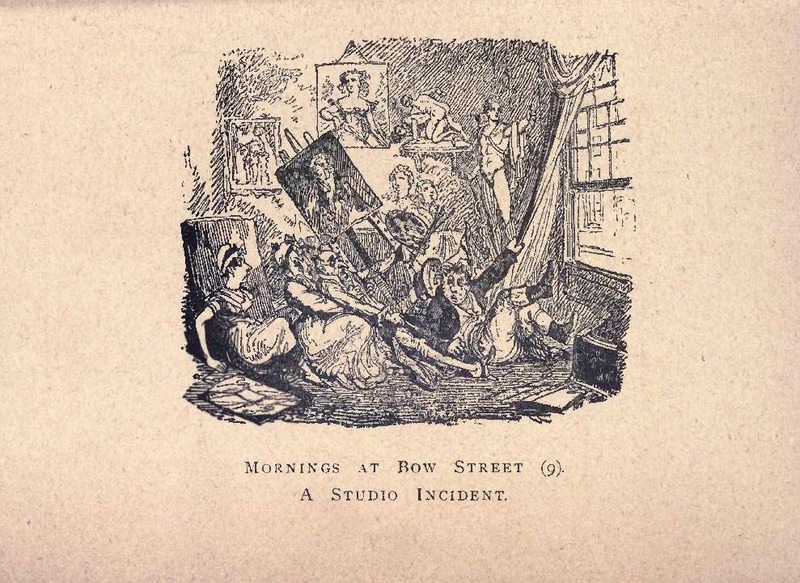 Some sort of fracas in a painter's studio. An older man is pulling on another man's clothing, causing him to fall and bring down the painter's easle. The unfinished painting seems to depict the man who is being pulled down. Perhaps this is some jealous scene because one of the women in the picture was having a liaison with her model? A google search does not turn anything up.